Rick Ybarra serves as program officer at the Hogg Foundation for Mental Health and leads the foundation’s Integrated Health Care initiative and co-leads the Collaborative Approaches to Well-Being in Rural Communities initiative, shifting from a primary focus on individual mental illness to the upstream, or root, causes of poor mental health at the community and systems levels. Prior to joining the foundation, Ybarra worked for the Regional Behavioral Health Authority of Maricopa County of Arizona and was responsible for the development, implementation, and monitoring of standards, policies, and procedures to promote health equity and cultural and linguistic competency throughout the provider network. He worked for the Texas Department of Mental Health and Mental Retardation from 1997 to 2003 overseeing contracts and policies focused on cultural and linguistic competency. Prior to TDMHMR, Ybarra held a variety of clinical and management posts in the Texas public mental health system. Ybarra joined the foundation in 2007. 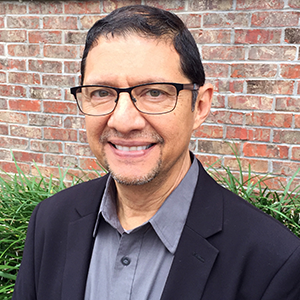 With over 25 years of clinical and administrative experience in both private and public sector behavioral health, Ybarra’s policy and program experience extends to county, state and national efforts promoting reforms and public policies to improve health equity for racial/ethnic populations. He has coauthored and contributed to several peer-reviewed and non-peer reviewed publications. He serves on numerous statewide, national and federal advisory committees and councils. Ybarra earned his master’s degree in Clinical Psychology and his bachelor’s degree in Psychology from Saint Mary’s University in San Antonio, Texas.